Utterly amazing African music by a Troupe formed in France. Senghor was a law student in Paris when he told his father he was going to stop studying to be an actor, which led to him being disowned. He ended up meeting another African student in Paris and they decided to bring the native dances & songs of Africa to Paris. Strange way to go about it but clearly it was at least semi-successful as I now hold their creations in my hands. 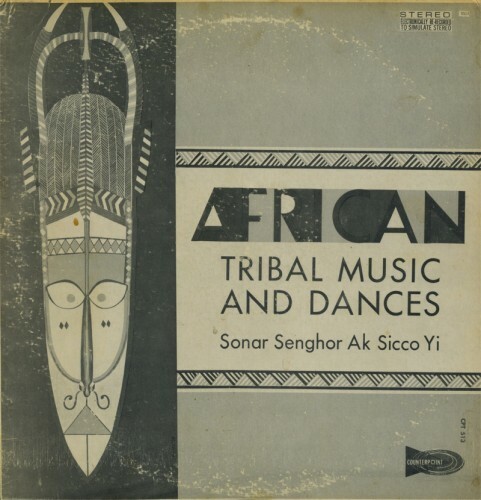 Very traditional stuff here but African rhythms and vocals are some of my faves, so this is worth its weight in gold. Not totally sure if this is from 1957. There are at least 3 or 4 versions of this, it was originally recoded in 1952, Esoteric changed its name to Counterpoint in ’57 (I think), and this release has both Counterpoint & Esoteric names/logos, so it seems like a decent justification to me.